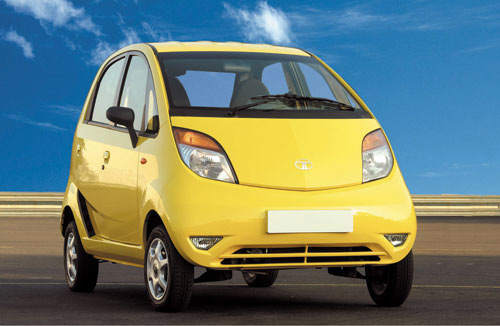 There have been seven reported cases in the media of the Tata Nano catching fire. The latest was on June 1, in Vadodara’s Subanpura locality. The car, owned by a certain Mayank Doshi, was parked near near a police outpost, according to a report in DNA. Though the incidents are only a statistical blip —over 70,000 Nanos were sold in 2010 alone — and though other brands of cars have suffered similar fates in the past, the curious cases of “spontaneous Nano combustion” has drawn the media’s attention. Part of it can be put down to the Nano’s dual claims to fame — the world’s cheapest car; and being indigenously developed in India. The first couple of fires were reported from Ahmedabad and Lucknow in September and October 2009, just after its launch. The third case, in March last year, was reported even as the company was investigation the probable cause. As if that weren’t embarrassing enough, the vehicle that caught fire was being driven home from the showroom. The next blow came in April 2010, and occurred in one that was part of a fleet of 11 cars on the way to a Tata dealership in Vadodara. In August the same year, Delhi reported a fire in a Nano parked near the MCD office. Unsurprisingly, Nano sales slipped to an all-time low of 509 cars in November. The company ordered a retro fitment of parts the same month — a cover for the catalytic converter in the engine and a fuse in the electrical circuit — and announced these would reduce the risk of fire. There were no recalls, either , only an optional retro fitment, when an owner visited a Nano service station. Two fires, first in March this year, have been reported since. Does that mean the retrofitments aren’t working? Or is it a design problem? The Nano is powered by a two-cylinder, liquid-cooled, rear-mounted petrol engine, accessed from behind the rear seat of the car. Some experts say the engine tends to overheat due to inadequate cooling and some even blame the delay in the Nano’s launch to this fault. Tata maintains the engine did well in the “extensive tests” that were carried out. That’s good to know, but given that a diesel Nano is to launch later this year, a better reassurance about the car’s safety credentials, and actively reaching out to existing customers, would only stoke sales, not engines.